Ladies leather Chelsea style ankle boot. Featuring high quality waxy leather with suede top line inlay detail and elastic gusset. Mid height TPR stack heel and anti slip durable TPR sole unit. Available in black and brown. Fantastic style but not for me sadly. 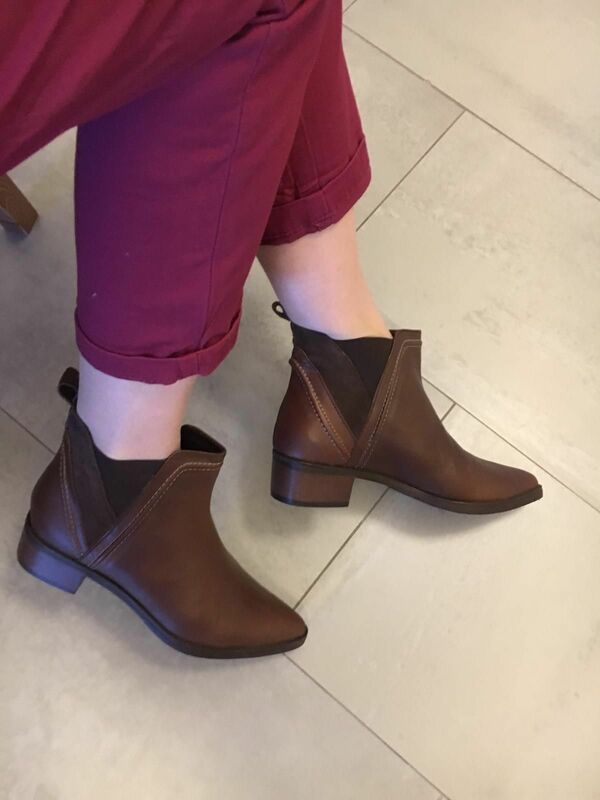 I loved these boots from the moment I set eyes on them but sadly having to return, nothing to do with the boots, it’s me, my feet swell and for that reason only I’m returning for a different style, not pointed toe this time but round toe for more comfort.